Please stop by the College and Career Center located in room 2102, inside the library. Personal Statement & Essay Writing:This workshop will focus on tips for writing a personal statement and general college essays. Admission Professionals from Johnson & Wales University and McDaniel College will present. How to Choose a College: This workshop will focus on important factors students should consider when choosing a college. Admission Professionals from Colgate College & Butler University will present. Post-secondary Options: This workshop will discuss various post-secondary options that students can take once they graduate from high school. This includes information on gap years, joining the military, and joining the workforce. How to Pay for College: This workshop will discuss information on how to pay for college with a focus on the FAFSA/Financial Aid. 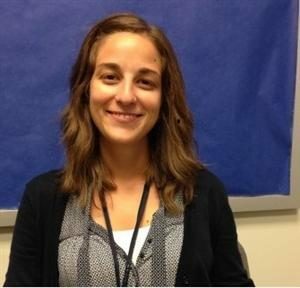 Elysse Catino has been a counselor at Washington-Lee since 2011. She received her M.A. from Marymount University and her B.A. in Psychology from The Pennsylvania State University. Prior to joining the W-L Counseling Department, Elysse worked in human resources. Currently, Elysse is a faculty advisor to our CONNECT Mentors and Sources of Strength peer leaders. When she is not at W-L, she can be found enjoying the outdoors, spending time with her daughter, and is an adjunct professor at Northern Virginia Community College.